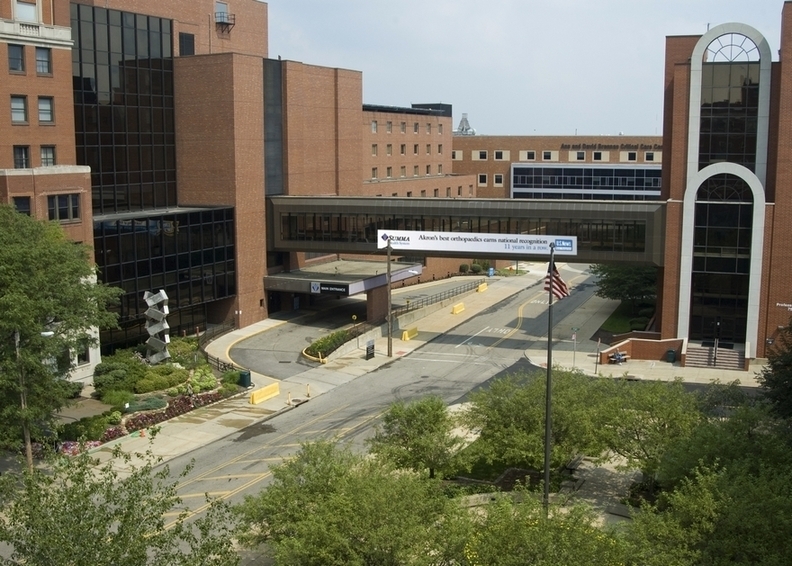 Summa Health is eliminating more than 300 positions, cutting services, consolidating units and "re-evaluating our ongoing capital needs" to avoid a $60 million loss projected this year that could threaten its independence, the Akron, Ohio-based health system announced on Monday. "This year, inpatient and outpatient volumes are dramatically down and, as a result, we are facing staggering operating losses," Dr. Cliff Deveny, Summa's interim CEO, wrote in a memo to employees, medical staff and boards. The $60 million loss would come on the heels of a $30 million profit last year. While the system has "considerable cash in reserve to protect us for the short term," Deveny wrote of a series of steps to immediately halt the trend. In this year's first quarter, Summa experienced an operating loss of about $15 million, though spokesman Mike Bernstein noted that with investment income, "We experienced a net gain overall of approximately $5.5 million." If the system doesn't do what he laid out in his memo, Deveny wrote, "I can assure you the name on our badges will no longer say Summa Health, our employees at all levels of the organization and our community will see unprecedented change, and our independent physicians will be faced with the reality of what it means to practice in a community that no longer has an independent, local option for them." About half of the 300 positions to be eliminated are currently open. All functions are affected in this move, though the goal is to eliminate "administrative layers" in the system, according to the memo. The system will discontinue unspecified services "that are better provided in other more appropriate settings." Summa also will consolidate units and services to ensure efficient operations as it can't afford to maintain half-full units or have duplicate operations. New capital projects will be evaluated against "critical strategic goals," Deveny wrote. "The West Tower project will continue as scheduled because, as we've noted, this investment is necessary to help Summa achieve its long-term mission." Deveny began his role in March, replacing Dr. Thomas Malone, who resigned as president and CEO at the end of a tumultuous January after vocal opposition to a decision to not renew the contract of the independent physician group that had staffed the hospital's emergency departments for decades. Since then, he has worked to right the ship and to address a cultural shift. "As far back as the middle of last year, leadership warned that 2017 would be a challenging year financially — far below the positive outcomes in 2015 and 2016," Deveny wrote. "These projections came before the turmoil at the beginning of the year, which certainly worsened the situation." He pointed to a series of factors internal and external that have affected the organization: rapidly changing industry and federal and state health care reform; patients not using caregivers and specialists within the system; a lack of strong effort behind ensuring that patient access is a priority; independent practices and physicians referring patients away from Summa, citing quality concerns. Deveny stressed the importance of moving past blame and working toward a solution. He asked everyone to "look in the mirror and ask what we can do within our own sphere of influence to improve our situation." "I believe today, as strongly as I did when I decided to come back to Summa, that we can be successful," Deveny wrote. "Yet we must do it with eyes wide open, and I send you this letter so you can understand what is at stake and what we must do, not only for Summa but for our community." "Summa Health is eliminating 300 positions" originally appeared in Crain's Cleveland Business.